Cette description du travail de Judi Aubel a été rédigée lors de sa sélection comme Fellow Ashoka en 2012. In development programs addressing the health and well-being of women and children in non-Western cultures, grandmothers are often perceived as supporters of harmful practices and resistant to change. Based on many years of experience working in community programs in Africa, Latin America and Asia, Judi realized that across cultures grandmothers have tremendous authority within families on matters concerning women and children, including acting as advisors to men on these matters. She saw this influential role as an opportunity and decided that grandmothers should be viewed as a resource rather than as an obstacle. Instead of excluding them because of their “negative” influence, she developed an approach to engage and leverage grandmothers’ influence as an asset to development programs to promote positive change in socio-cultural norms and practices that negatively impact women and children. This grandmother-inclusive approach became the basis for the nonprofit she co-founded, Grandmother Project – Change through Culture (GMP). GMP has demonstrated that when grandmothers are actively involved in programs, and respected for their wisdom and knowledge, they are usually open to new ideas, and can be strong supporters and protectors of women and children, especially girls. GMP’s approach helps communities become more resilient by assisting them to recognize and cultivate their own strengths so that they can more effectively identify and resolve the various challenges they face. 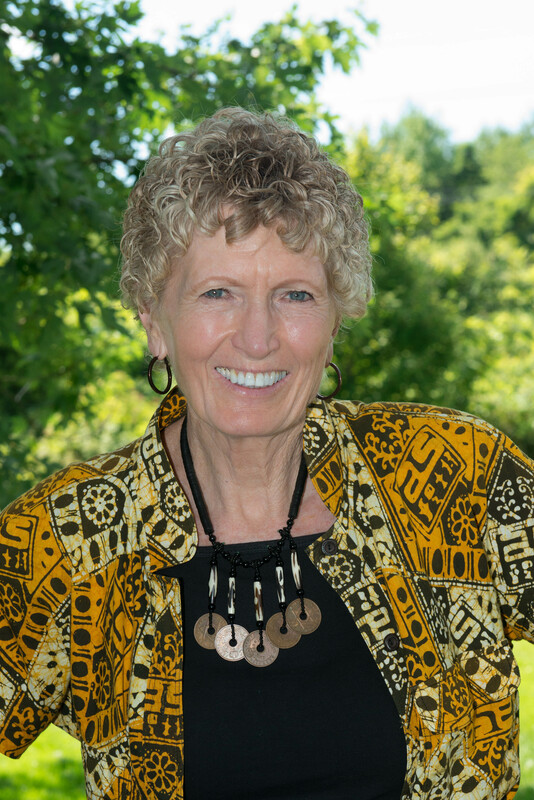 Judi has developed the grandmother-inclusive approach primarily in West Africa, and to a lesser extent in Latin America and Asia, but she believes that grandmothers are a rich and abundant cultural resource to families and communities in all non-Western societies. The idea of empowering grandmothers to be effective levers for social change in communities on behalf of vulnerable groups, namely women and children, and especially girls, has broad relevance. All development programs seek to identify strategies that contribute to positive change for target populations. Women and children are particularly vulnerable groups and numerous resources are spent on efforts to improve their well-being. However, program results are often less than anticipated and development practitioners often criticize communities for resisting recommended changes in programs intended to benefit them. Judi attributes the often limited results of development schemes to the fact that they are not grounded in ‘cultural realities’, i.e., the values, experiences and roles played by community members. For example, many programs addressing girls’ education and child marriage narrowly focus on girls while ignoring the family and community actors who have more influence than girls’ themselves in determining family decisions about whether they are allowed to continue at school or whether they will be married off at a very young age. It is clear that girls alone cannot change other deeply rooted cultural norms regarding child marriage or female genital mutilation. An important facet of non-Western cultures that is generally ignored in development programs is the central role played by grandmothers as advisors and supporters of girls as they are growing up. There is often a sharp incongruity between cultural contexts in which grandmothers play a central role at the family and community levels, and their absence from development programs dealing with their fields of expertise. This gap contributes to limiting community engagement for such programs and, consequently, to limiting program results. GMP’s strategy, based on Judi’s work, involves a holistic, or systems, approach to promoting change in non-Western societies that builds on positive cultural roles and values. Rather than targeting change at the individual level, GMP’s approach focuses on the family and community levels to build collective consensus for change. When new norms and practices are agreed upon in this way, change is more likely to be sustained. At the core of this approach are three concepts: recognition and inclusion of grandmothers, and of elders in general; strengthening communication between generations; and using dialogue and consensus-building communication methods to encourage community-wide understanding and support for change. GMP has used this approach in programs/strategies dealing with maternal and child health/nutrition, girls’ education, early marriage, teen pregnancy, and female genital mutilation. By leveraging, and strengthening, existing internal resources, GMP assists communities to drive their own change. The top-down model commonly followed in development programs brings in outside information and a prescribed set of new behaviors and expects that these new ideas will be followed. Taking a bottom-up approach, GMP works with communities to identify their challenges and then assists them to build their internal capacity, or social infrastructure, to effectively come together, identify solutions, and take action to support the well-being of their community members. This systems approach to change engages communities through various culturally appropriate activities. Activities such as coaching, non-formal education, and community recognition of grandmothers, all contribute to restoring them to their traditional role within families and communities, as advisors respected for their knowledge and wisdom, and as allies and educators for children. GMP works with communities to identify ‘grandmother leaders’, those senior women who are active, dynamic and respected in their communities, and helps strengthen their leadership capacity. The “under the tree” grandmother leadership training program brings together grandmother leaders from two neighboring villages to learn new leadership and communication skills, to build bonding ties between communities and to strengthen grandmother networks across and within communities. ‘Days of Praise of Grandmothers’ are inter-village gatherings to publicly recognize the contributions that grandmothers make to family and community well-being. Such events assist to build grandmothers’ confidence and active participation in their communities, where, prior to GMP’s involvement, many of them were viewed as no longer useful and marginalized. Through their active involvement, they have become empowered as leaders and have regained respect and recognition as vital resources in families and communities. GMP also organizes intergenerational (IG) forums to improve communication between different generations, and to facilitate the collective decision-making process. These forums bring together traditional community leaders, religious leaders, grandmothers, grandfathers, men, women, older adolescents, health workers and teachers for open dialogue on issues of importance. For most communities, this is the first time that different generations, and the two sexes, have come together to discuss community problems related to girls’ development, as well as other issues concerning the well-being of children. In addition to plenary sessions involving representatives from these diverse groups, peer groups also meet separately for discussion of these same topics. This approach to problem-solving has been used to address girls’ development and education, including early and forced marriage, teen pregnancy, and the importance of girls’ schooling. And it has proven to be an effective approach to bring about positive change in socio-cultural norms and attitudes that impact girls. Community education is also provided through “under the tree” non-formal education sessions. These sessions bring together different generations in a smaller setting for education and dialogue. Sessions take place “under the tree” and may involve, for example, grandmothers, mothers and adolescent girls in discussion about girls’ development and schooling. Adolescent boys may meet separately with grandmothers and mothers for the same discussion. These sessions help to strengthen family and intergenerational relationships and grandmothers’ role as advisors and confidants for children. Another important component of GMP’s multi-level strategy is working to improve school-community relationships. Since poor relationships contribute to low school attendance, particularly by girls, it presents a significant barrier to children’s education. Activities at this level include grandmother-teacher workshops, development of booklets on cultural values for use in primary schools, training with teachers to integrate cultural education into classroom curricula, and bringing grandmothers into elementary school classrooms to teach traditional values. This strategy has received the support of the Ministry of Education in Senegal and has been very successful at bridging the gap between schools/teachers and communities/parents and grandparents, contributing to changing attitudes in favor of keeping children in school. In the communities where GMP has worked, positive outcomes include increased age of marriage for girls, decreased teen pregnancy and female genital mutilation, increased interest and reading skills in elementary school children, increased parental support for children’s schooling, increased involvement of teachers in advocacy for adolescent girls, increased support for girls’ attendance at secondary school, and empowerment of grandmothers as active community members and leaders. From her early days working in low-income minority communities in education and social service programs in the U.S., and later as a Peace Corps volunteer in Ivory Coast, Judi has always been interested in understanding the cultural contexts in which education and development programs are introduced. While working as a pre-school teacher in predominantly Mexican American communities in the U.S. Southwest, her interest grew in understanding the role of family and culture in children’s lives, and she spent as much time working with parents as in the classroom with her young students. As Judi’s education and professional interests evolved, she began working in international development and has spent more than 20 years working with programs implemented in communities in Africa, Asia and Latin America. Her observation of the powerful role of grandmothers in these non-Western cultures began with her early work in maternal and child health and nutrition, and continued with her involvement in programs targeting the well-being and protection of women and children. Over the years, Judi became increasingly aware of the gap between the approach used in community health programs and the cultural realities of the communities in which these interventions were introduced. This realization led, in 2005, to the creation of a nonprofit organization, Grandmother Project – Change through Culture, through her collaboration with an Australian journalist, Elisabeth Mealy. The goal was to develop programs for women and children using a grandmother-inclusive approach, i.e. an approach that builds on cultural roles and values, in order to more effectively catalyze and sustain change. Judi is committed to building the capacity of other organizations and training schools in the Global South to develop community programs that harness the cultural strengths found in all societies, including the positive values, traditions and roles of grandmothers as well as of other traditional and religious community leaders.